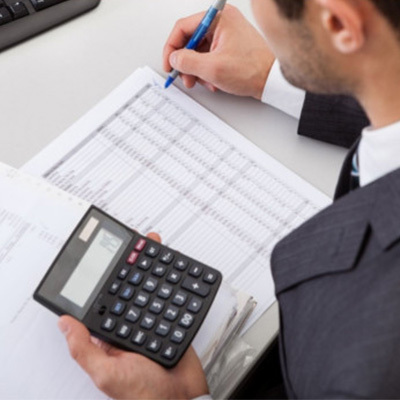 Accountants perform financial calculations for companies in a wide variety of fields. Some common duties include creating sales and cash flow reports, administering payroll, keeping balance sheets, carrying out billing activities, managing budgets and keeping inventory. The accountant may also be responsible for filing taxes for the company, as well as reviewing past reports to generate income forecasts. Knowledge of accounting software such as Tally and Microsoft Excel is needed. The British Institutes is offering the Financial Accounting course in THREE Levels. ACCOUNTS EXECUTIVE (Tally + E-filling+ GST) – The Students will be able to introduce and execute the Tally ERP 9 accounting work. On successful completion of the course the aspirants will be able to do the basic accounting work along with the E-filling of Taxes and GST for any organisation or individual, provided the accounting job is limited to the preview of the BIET Course curriculum. ACCOUNTS MANAGER (MS Office + Manual Accounting + Tally + E-filling + GST) – The Students will be able to introduce and execute the Tally ERP 9 accounting work along with the basic operations of MS Office. On successful completion of the course the aspirants will be able to do the accounting work along with the E-filling of Taxes and GST for any organisation or individual, provided the accounting job is limited to the preview of the BIET Course curriculum. Professional Accountants (Advanced Excel + Advanced Tally + E-filling + GST) - The Students will be able to execute the advanced level of Tally ERP 9 accounting work along with Advanced Excel. On successful completion of the course the aspirants will be able to do the senior level accounting work along with the E-filling of Taxes and GST for any organisation or individual, provided the accounting job is limited to the preview of the BIET Course curriculum. Apart from the Accounts Executive and Accounts Manager Courses, The British Institutes also offer short term need based courses for Practising Accountants, business persons, students on projects. Eligibility: Graduation and Knowledge of basic MS Office and Tally needed.